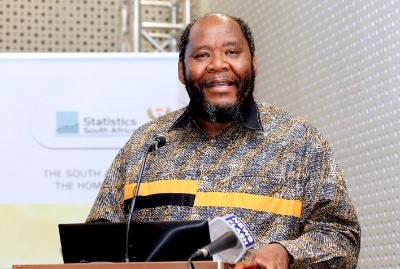 Statistics South Africa have done some work on providing sub-national, that is provincial, data for quarterly national accounts, Statistician-General Pali Lehohla told The BRICS Post in an exclusive interview. “We have tested the methodology for population estimates and found it to be robust. Now we are developing it for other applications such as the national accounts so that we can say this was the impact of the platinum mining strike on the North West province and these were the linkages to manufacturing in other provinces. This would help policy makers target intervention at the sub-national level,” he said. Statistics South Africa currently provides annual estimates for the nine provinces in South Africa, but these are only published once a year. The North West is the centre of platinum mining, which has seen a strike since January with no end in sight. The drop in mining production and the resultant impact on manufacturing meant that South Africa’s economy had the first quarterly contraction since the second quarter 2009, when it was in a recession for the first time since 1992. Real gross domestic product at market prices decreased by 0.6 per cent quarter-on-quarter, seasonally adjusted and annualised in the first quarter. The largest impact came form the the mining sector, which contracted by 24.7 per cent and the manufacturing sector, which dropped by 4.4 per cent. “We do not make forecasts, so we cannot say what the impact of the strike will be in the current quarter. The second quarter gross domestic product data will be available on 26 August. In November we will rebase the national accounts and implement the new methodology of the United Nations System of National Accounts. As you know, on a purchasing power parity basis South Africa’s economy is far larger than if reported in US dollar terms,” he noted. Nigeria recently became Africa’s largest economy after a rebasing exercise and the implementation of new methodology that captured emerging industries such as film making and mobile communications. Nigeria’s film industry produces far more films than Hollywood does for instance and hit movies have a same day distribution on DVDs that is in excess of 50 000. “If we look at the share of employees as captured by the compensation of employees and the share of gross operating surplus, which also includes the share of those self-employed, then we see that for the first time since 2010, when we were recovering from the 2009 recession, that the year ago increase for gross operating surplus is above that of employees. Now whether that is a trend or just a once-off, only time will tell,” Lehohla said. The year ago increase for gross operating surplus was 8.2 per cent in the first quarter from only 6.0 per cent in the fourth quarter, while increases for compensation of employees were 7.2 per cent and 8.5 per cent respectively. “The GDP deflator of 6.1 per cent in the first quarter is in line with what we see in consumer inflation, which was as 6.1 per cent in April as well. The consumer inflation and GDP deflator are correlated, but the first measures it at consumer level, while the other measures it for the whole economy,” he concluded.